This is Bugsy, an amazing 11 year old gal that I just photographed at Longmont Humane Society. She was surrendered due to an infection in her leg that was caused by a bandage that was too tight on her foot. LHS took care of her but unfortunately had to amputate her leg. Bugsy is running around like nothing happened! 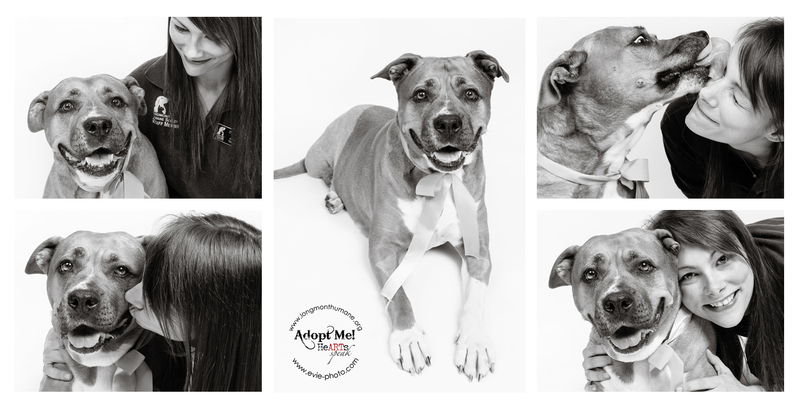 Her foster mom, also an employee of the shelter, brought her in to have her “ready to adopt” photo taken and asked to be in a few photos. I happily included her and you can see the love!! Her foster mom wanted a few photos to remember Bugsy as she cannot adopt her – too many dogs in the house already! But she really loves her and wanted a few photos. She found Bugsy to be great with her 1 and 3 year old kids as well as other dogs. Bugsy has an all around big smile to share with everyone!